Over the years, many people considered bankruptcy a very bad thing. A few years ago, if you declared bankruptcy, you would be considered a dead beat. Today, that is no longer the case. For sure, this economic depression will make many Americans casualties of their finances. With recent job losses and the tough economy, many consumers will be faced with the difficult decision on whether to file bankruptcy. It would be wise to move forward with file for bankruptcy, rather than holding on to hope. 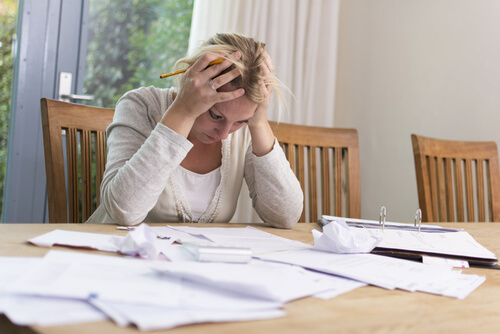 If your circumstances are not going to improve, then bankruptcy may be right for you as it may provide a fresh start. Below are six reasons you should declare bankruptcy. If you’re already divorced and are struggling, bankruptcy may help under a Chapter 13 Bankruptcy, it puts you into a payment plan which gives you between 3 and 5 years to catch up on your arrears. Chapter 13 is beneficial for those with a reliable income source and/or property they would like to retain. However, there are some debts such as child support which cannot be discharged. You should contact a qualified bankruptcy attorney to learn more about Chapter 7 and Chapter 13 and discuss your options. An Miami bankruptcy attorney can help you understand the laws that are associated with the next steps that you have to take.